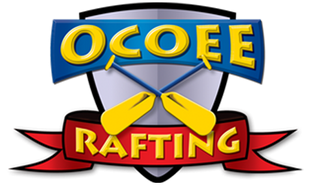 " The Ocoee's #1 Escape Room "
A physical adventure game in which players are in a room and have to use elements of the room to solve a series of clues and escape before the time runs out. While exploring an old lagoon ye crew discovers the Black Pearl in a cave. Upon entering the ship ye quickly realize it's booby trapped! The voice of Captain Blackbeard echo's through the cave, "If ye do not get off me ship within thirty minutes then ye will meet ye watery grave." Ye must find the gold and escape before the ship sinks. Seeking shelter in a rafting cabin during a monsoon of a storm, you quickly realize the flood water is rising! You have 30 minutes to get a raft and save your life! Your team has just learned of an enemy plot to blow up the train. Located somewhere inside there is a bomb. Your mission is to get inside the train, find the bomb and defuse it before the clock runs out. Good Luck Agents!